Need to get rid of Centipedes? Centipedes are flat and elongated with one pair of legs on their body segments. The total number of legs vary from 10 to more than 100, depending on the species. They have a pair of multi-segmented antennae. These pests can enter our homes and places of business and are generally associated with moisture in a damp basement or crawlspace. Proper ventilation in basements and crawlspaces help with keeping these insects away. Potential exterior harborage areas are old boards, boxes, compost piles, wood piles, stones, leaf litter, and grass clippings. Removing these materials help with controlling the insect and rodent populations in general. Long-term prevention includes creating a 3-foot vegetation free area around the building foundation. 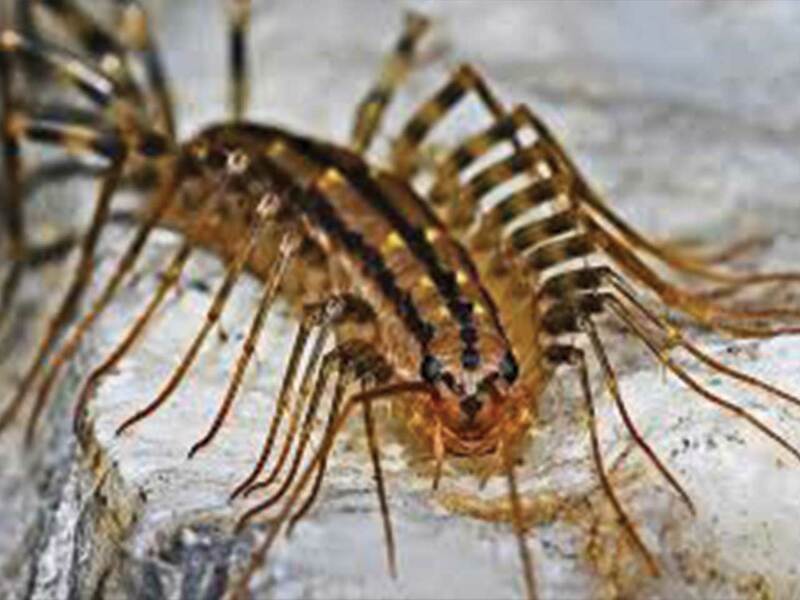 If you have issues with centipedes, please call our office for prevention and treatment options.